I’m finally back at work; I’m trying to get over a 2-day virus/sickness, which could have been a week-long if I didn’t get a flu shot. Thank God I did, so I’m slowly getting my full strength back. 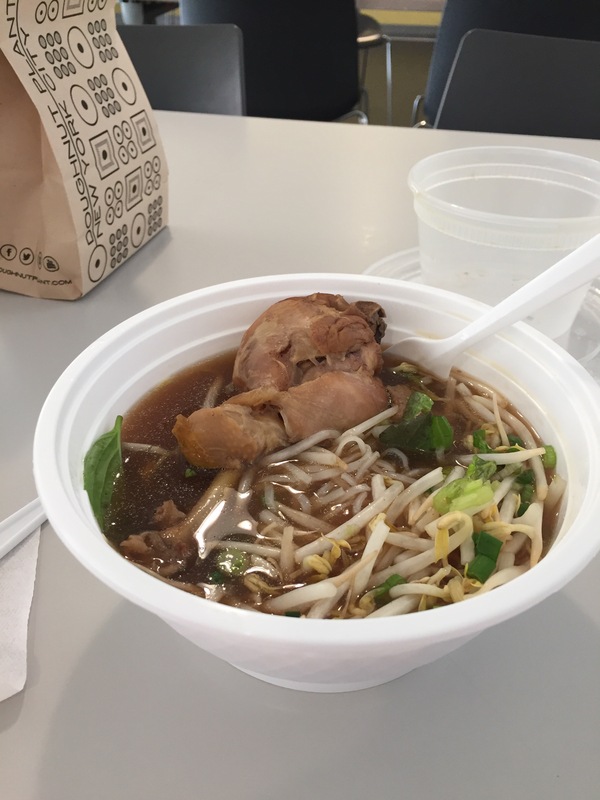 Luckily, today’s special at Khao Man Gai NY is Gai Toon, or chicken noodle soup. This soup is intense with flavor: an anise, sweet-flavored fish broth with a slow-cooked chicken leg, homemade thin rice noodles, scallions, cilantro, mint leaves, bean sprouts, Chinese celery, ginger and red pepper flakes. After two days of seclusion, DayQuil, Gatorade and crackers, this soup was a wonderful way to say hello to the world once again.